A new ASCEND-Morning Consult poll revealed just 20 percent of women think work culture has gotten better for females in their companies. The #MeToo movement has thrown a spotlight on gender discrimination issues in the workplace. But is office culture really changing? It depends on whom you ask. Only 20 percent of women agreed things have gotten better for women in their companies in the last five years, according to a new ASCEND-Morning Consult poll. Meanwhile, men were significantly more sanguine about progress: 33 percent said they’ve seen positive change in the last five years. 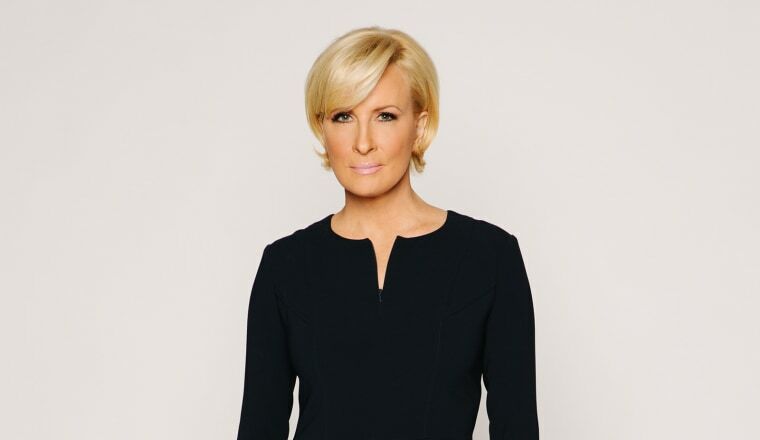 “We were actually quite surprised,” Katherine Phillips, a Columbia Business School professor who analyzed the poll’s results for Ascend and Morning Consult, told “Morning Joe” co-host and Know Your Value founder Mika Brzezinski. Across the board, most people say they haven’t seen real progress at the workplace in the past five years. And those who do feel office life is becoming more equitable for women tend to work at larger companies with 100 or more employees, Phillips noted. “In large companies there’s more structure around these things: more consistent conversation happening about diversity and inclusion efforts,” Phillips explained. Big corporations are far more likely to have large Human Resource departments, inclusion initiatives and other resources than small companies, she added. There’s also a gender gap related to workers' desire to reach the highest leadership positions. Asked whether they agreed with the statement “I aspire to be a top executive,” young men and women ages 18 to 29 working at large companies answered somewhat similarly: 53 percent of women strongly or somewhat agreed, as did 61 percent of men. But when jumping up an age bracket, to ages 30 to 44, women’s desire to reach top echelons at work declines markedly: only 36 percent of women in that age group at large companies strongly or somewhat agreed. “It’s a precipitous gap,” Phillips said, and it’s one that isn’t replicated with men ages 30 to 44. A total of 57 percent strongly or somewhat agreed they want top leadership positions. Phillips noted it may not be a question of ambition but of external factors that affect women differently. So what can be done to make significant changes to help women advance more quickly and in bigger numbers? A big part of the challenge, Phillips said, is that many people express the need for progress broadly but don’t see a need for change within their own companies. For example, 73 percent of respondents said more women should be hired in leadership roles at other companies, but only 44 percent said that’s a step their own companies should take. But the answer won’t come in the form of individual companies making a few changes, Phillips said, adding that “we need a movement” with groups of people and companies making progress together — and fostering wider discussion. To that point, Brzezinski will host ASCEND’s inaugural Summit on May 10 at the Harmonie Club in New York City. The ASCEND Summit will feature top women in leadership including Arianna Huffington, former Hewlett-Packard CEO Carly Fiorina, senior advisor to former President Obama Valerie Jarrett and many others. The speakers will share their experience and guidance on what it takes to reach and thrive in executive-level roles and on boards of directors.